This was one of the cutest and refreshing Young Adult books I've read in awhile and I can't quite put my finger on why-other then it's just full of fun and goodness. Longbourn Academy isn't just famous for being a good school, it's also famous for being obsessed with prom. Their students always make the pages of Vogue and other fashion magazines because their dresses just make that big of a fashion statement. 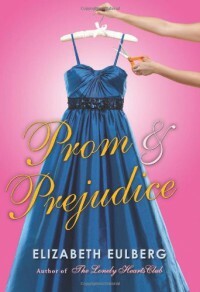 Lizzie Bennet though is there on a music scholarship and could care less about Prom and all the dresses that go with it..except that her room mate and best friend, Jane is suddenly caught up in Prom Fever when she starts dating Charles Bingley who just returned home to Pemberley Academy from a semester in London with his good friend Will Darcy. Lizzie knows that Jane wants her to be nice to Will Darcy, but she just can't. He's insufferable and for some reason has a grudge against kids who attend Longbourn and Pemberley on scholarships-since that includes her, Lizzie doesn't see why she should have to bother with him at all. Especially after she meets the cute & charming Wickham, who tells Lizzie just how awful he thinks Will Darcy is and why. 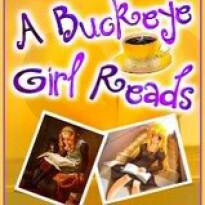 Just when it looks like both Lizzie and Jane will be asked to prom, Lydia, Jane's younger sister embarrasses them both horribly at an upperclassmen party, and everything falls to pieces. The only saving grace is that Lizzie has been asked to perform a super hard piece on the piano for the schools recital.Who cares about Prom when you have this honor, right? However, Lizzie finds out some things that make her question herself, and those around her. Has she become as insufferable as she accused Will Darcy of being?